PLEASE READ THESE TERMS AND CONDITIONS OF USE CAREFULLY. THESE TERMS AND CONDITIONS MAY HAVE CHANGED SINCE YOUR LAST VISIT TO THIS WEBSITE. BY USING THIS WEBSITE OR OUR SERVICES, YOU INDICATE YOUR ACCEPTANCE OF THESE TERMS AND CONDITIONS. Precision Essay LLC (DBA “Admissionado” and hereafter referred to as “Admissionado”) maintains this website as a service to its customers, potential customers, and other interested parties. Please visit us frequently, browse our pages, and download documents, subject to the terms and conditions set out below. Nothing contained on this website should be construed as granting, by implication, estoppel, or otherwise, any license or right to use this website or any documents displayed on this website, through the use of framing or otherwise, except: (a) as expressly permitted by these terms and conditions; or (b) with the prior written permission of Admissionado or such third party that may own the trademark or copyright of material displayed on this website. Admissionado reserves the right to make changes to document names and content, product specifications, or other information without obligation to notify any person of such changes. 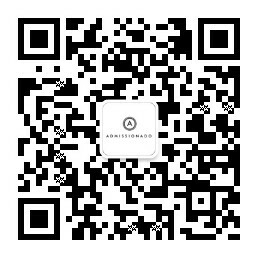 In the event of any conflict between information contained on Admissionado’s website and these Terms and Conditions, these Terms and Conditions will control. At the sole discretion of Admissionado, authorized representatives of Admissionado may adjust the pricing of Admissionado’s services throughout the course of any given year. Once a Confirmation E-mail (as defined below) has been sent, the pricing for the specific service to be provided, and shall not be adjusted by Admissionado or the client. Admissionado shall accept your order and payment via an e-mail confirmation (the “Confirmation E-mail”), which shall indicate that (i) Admissionado has agreed to take you on as a client (the “Client”), and (ii) the specific service(s) that shall be provided. Admissionado assumes no obligations until you have received a confirmation e-mail from an authorized Admissionado representative, and Admissionado reserves the right to reject any order for any reason whatsoever. Admissionado shall use commercially reasonable efforts to advise the Client, as a consultant, with respect to all materials that Client will submit to Admissionado for review, including any written materials that will be a part of any application for admission to one academic institution (the “Application Materials”). Admissionado shall use reasonable efforts to provide its comments, whether by e-mail, Skype, phone, etc., to any drafts of the Application Materials within a reasonable amount of time after receiving such drafts, not to exceed 3 business days. Admissionado shall, at all times, treat Client with respect and shall work with Client in a professional manner. Client agrees that Admissionado is under no obligation to write any of the Application Materials. Client shall respond to all Admissionado comments with revised drafts within 72 hours of receiving such comments. Client agrees to commence work within 60 days of receiving the Confirmation E-mail unless a timetable has been specifically customized and agreed upon (in writing, including e-mail correspondence) prior to the purchase. 60 days after a purchase has been completed, if no custom timetables have been agreed to in writing by both parties, and Client fails to respond to Admissionado’s outreach efforts (by phone, email, etc. ), Admissionado’s obligations to Client shall cease. If the Client fails to respond to Admissionado’s outreach efforts (by phone, email, etc.) for a period of 180 days, Admissionado’s obligations to Client shall cease. Under these terms and conditions, Admissionado Client grants Admissionado a perpetual license to use prior and final versions of Client’s Application Materials, in Admissionado’s marketing materials, which shall include Admissionado’s website. Client shall indicate to Admissionado in writing any information in the Application Materials that Client would like Admissionado to maintain as confidential in Admissionado’s marketing materials. Client represents and warrants that the Client has not plagiarized or inappropriately used or obtained any materials or information, including the Application Materials, provided to Admissionado and further represents and warrants that the Client has any and all rights necessary to use and edit materials or information, including the Application Materials, provided to Admissionado. Breach of this representation and warranty may result in an automatic termination of any relationship between Admissionado and the Client. Client represents and warrants that all information that has been provided to Admissionado is accurate to the best of Client’s knowledge. Client represents that he or she is not a minor and has reached the age of majority in Client’s jurisdiction. In the event that Application Materials are being submitted to Admissionado on behalf of a minor, it is understood and acknowledged that Client is the person who has custody of the minor and is responsible for the well-being of the minor and that Client, not the minor, will be submitting payment and engaging the services of Admissionado. To the extent such costs exist, Client agrees to incur the costs of any long distance telephone calls by calling Admissionado or its representatives for any scheduled telephone meetings. Similarly, client agrees to incur costs of wire transmittals, and any other transactional costs associated with the purchasing of Admissionado services along with full or partial refunds. Client shall use best efforts to disclose its dissatisfaction, if any, with Admissionado’s services to Admissionado’s representatives and to allow for a reasonable cure period prior to disclosing Client’s relationship with Admissionado to any third party. Client acknowledges that as a client, we will occasionally send newsletters via e-mail announcing special offers, news bulletins, and so forth. Client always reserves the right to unsubscribe from this mailing list at any time. Client acknowledges that neither Admissionado nor its representatives has made any express, implied or other representations or warranties that its services will in any way guarantee client’s admission to any academic institution or any other desired professional outcome. By placing an order with Admissionado, client understands that Admissionado disclaims any and all implied or express warranties, including but not limited to, merchantability and fitness for a particular purpose. By using this website or Admissionado’s services or materials, Client agree to indemnify, hold harmless and defend Admissionado and its representatives from any claims, damages, losses, liabilities, settlements and all costs and expenses of defense, including but not limited to, attorneys’ fees, resulting directly or indirectly from a claim by a third party that is based on your use of this website or of Admissionado’s services or materials in violation of these terms. By agreeing to these terms and conditions, the Client and Company both recognize that privacy is of utmost importance both to clients, and to the Company itself. The Company agrees to use all reasonable efforts to protect the identities of clients, past, present, and future. Contact information will never be sold to outside vendors under any circumstances. Similarly, by agreeing to these terms and conditions, Client agrees not to do anything that can be seen as negative, in any way, to affect the reputation or good name of the Company. Any event on the part of a Client, past, past present, or future, which can be construed as slander, will force the Company to take immediate recuperative actions, either directly through the client, or through the admissions committees related to the Client’s applications, or both. These terms and conditions reflect a commitment on the part of both parties, to protect the good names of all parties to the agreement. UNDER NO CIRCUMSTANCES SHALL ADMISSIONADO BE LIABLE FOR ANY INCIDENTAL, SPECIAL, CONSEQUENTIAL, EXEMPLARY, MULTIPLE OR OTHER INDIRECT DAMAGES THAT RESULT FROM THE USE OF, OR THE INABILITY TO USE, THIS WEBSITE, THE INFORMATION CONTAINED ON THIS WEBSITE, OUR SERVICES, OR MATERIALS, EVEN IF ADMISSIONADO HAS BEEN ADVISED OF THE POSSIBILITY OF SUCH DAMAGES. IN NO EVENT SHALL ADMISSIONADO’S TOTAL LIABILITY TO THE CLIENT FOR ALL DAMAGES, LOSSES, AND CAUSES OF ACTION RESULTING FROM YOUR USE OF THIS WEBSITE, WHETHER IN CONTRACT, TORT (INCLUDING, BUT NOT LIMITED TO, NEGLIGENCE) OR OTHERWISE, EXCEED THE AMOUNTS YOU PAID TO ADMISSIONADO, IN THE MOST RECENT 3 MONTH PERIOD PRIOR TO THE INITIATION OF ANY CLAIM, SUIT OR PROCEEDING AGAINST ADMISSIONADO, FOR USING THIS WEBSITE. USE OF THIS WEBSITE INCLUDES, WITHOUT LIMITATION, ANY SERVICES THAT ADMISSIONADO MAY PROVIDE TO CLIENT AS A RESULT OF CLIENT’S USE OF THIS WEBSITE. Copyright © 2019 Precision Essay LLC. All rights reserved. This website, and the information which it contains, is the property of Admissionado and its affiliates and licensors, and is protected from unauthorized copying and dissemination by United States copyright law, trademark law, international conventions and other intellectual property laws. By way of example only, and not as a limitation, “Precision Essay LLC” is a service mark under the applicable laws of the United States and other countries. Admissionado may terminate its relationship with Client for any material breach of these terms and conditions at its sole discretion, at any time, provided that a material breach has occurred. Following the Client’s first official meeting with the consultant, (the “Discovery Phone Call”), Admissionado grants a “Grace Period” of seven days during which the Client may make changes to services purchased, or to the consulting arrangement. During this time, the Client may add additional schools and still take advantage of the bulk package discount incentive. Client may also reduce the number of schools applied to, in which case the service fees will be reduced based upon our applicable fee schedule and the actual number of schools selected. In addition, during this seven-day period, Client may elect to cancel service and be refunded in full, less a charge of $325 per hour for any hours used within the Grace Period. After this Grace Period has ended, no refunds whatsoever are available under any circumstances, on purchased services. No refunds are eligible on Hourly Support. Any fees outside of the purchase or refund (banking fees, wire fees, paypal fees, etc.) are borne solely by the client. Refunds for Admissionado services associated with or purchased through an Admissionado partner/affiliate are subject to the Terms & Conditions of the partner company. Please contact the partner directly for details. Admissionado shall use all reasonable efforts to return work to the Client in 24 hours or less. If Admissionado fails to return work to Client within 24 hours as promised, Client is entitled to a refund in the amount of the specific charge related to the late Rush Service package. If Client does not sign up for Rush Service and will not be able to complete a package due to time constraints, Admissionado has no responsibilities beyond the Company’s standard 72-hour turnaround. If Client begins his purchased service with his/her consultant, then chooses to defer services to a later date, additional charges may be incurred for any work that must be updated or re-done, at Admissionado’s standard rate of $325 per hour. These Terms and Conditions are governed and interpreted pursuant to the laws of Delaware, United States of America, notwithstanding any principles of conflicts of law. All disputes arising out of or relating to these Terms and Conditions shall be finally resolved by arbitration conducted in the English language in Chicago, Illinois, U.S.A. under the commercial arbitration rules of the American Arbitration Association. The parties shall appoint as sole arbitrator a retired judge who presided in any federal district court of the United States of America. The parties shall bear equally the cost of the arbitration (except that the prevailing party shall be entitled to an award of reasonable attorneys’ fees incurred in connection with the arbitration in such an amount as may be determined by the arbitrator). All decisions of the arbitrator shall be final and binding on both parties and enforceable in any court of competent jurisdiction. Notwithstanding this, application may be made to any court for a judicial acceptance of the award or order of enforcement. Notwithstanding the foregoing, Admissionado shall be entitled to seek injunctive relief, security, or other equitable remedies from the United States District Court for the State of Illinois or any other court of competent jurisdiction. If any part of these terms is unlawful, void, or unenforceable, that part will be deemed severable and will not affect the validity and enforceability of the remaining provisions. Admissionado may, at its sole discretion and without notice, revise these terms at any time by updating this posting. If you have any questions about the rights and restrictions above, please contact Admissionado at info@admissionado.com.